Cardiovascular diseases and other heart-related diseases is the number one killer in Singapore, as well as globally. About one third of deaths in Singapore is directly attributed to cardiovascular disease. A quick and painless way to assess the rate, rhythm and electrical activity of the heart and also provides information on the general health of the heart. 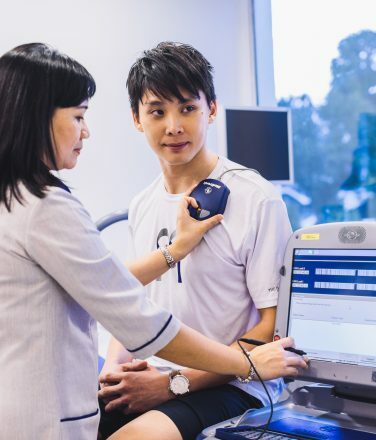 Assesses how well the heart copes with exercise and detects any underlying problem that is not present on the resting ECG. During exercise, the working muscles require more oxygen, so the heart must pump more blood. The test can show if there is a reduction in blood supply to the heart or if any abnormal heart rhythms develop with exercise. 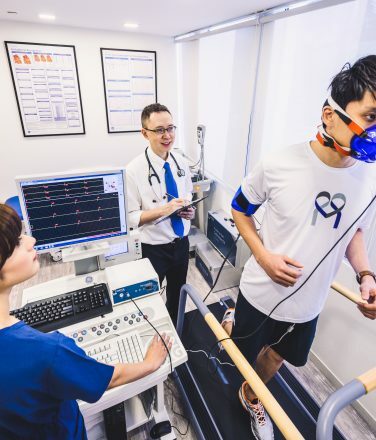 An exercise stress test that allows the cardiologist to study the capacity and reserve of heart muscle function under stressful condition. 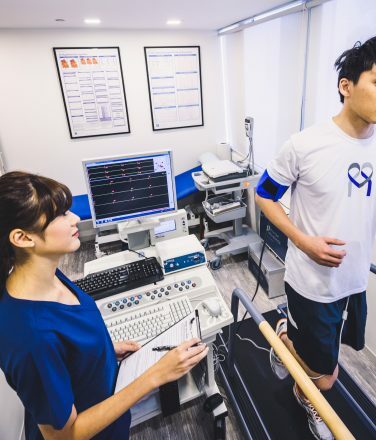 Ultrasound images are then obtained to study the heart’s function immediately after exercise to compare with the images obtained at rest to determine if any part of heart contracts abnormally. A special ultrasound scan of the carotid arteries in the neck to measure the thickness of the inner two layers – the intima and media. Several clinical studies have demonstrated a correlation between the Carotid Intima-Media Thickness (CIMT) and the future risk of cardiovascular disease. This test can therefore alert the doctor that the patient is at higher risk of a heart attack or stroke, even if the person has no symptoms. Early detection may indicate the need for a more aggressive approach to managing the risk factors associated with heart disease and stroke. A non-invasive and risk free test which uses standard ultrasound techniques to image 2-dimensional slices of the heart. Echocardiogram provides information on size and shape of the heart, pumping capacity and the location and extent of any heart muscle damage. It also allows evaluation of the heart valves. A Doppler analysis is done to look at blood flow from chamber to chamber and can detect abnormalities in the pattern of blood flow through the valves. A painless non-invasive method to obtain BP recordings over a 24-hour period. 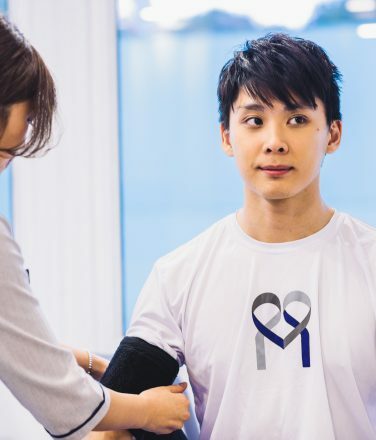 It involves wearing a small cuff around the non-dominant arm, which is then attached to a small monitoring device worn on a belt fastened around the waist. 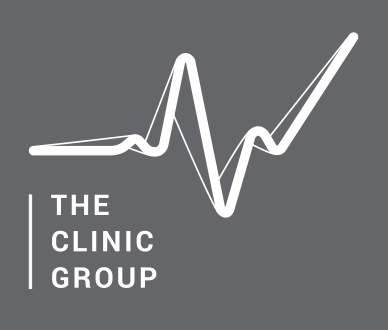 The cuff will automatically inflate at regular intervals throughout the 24-hour period, usually every 20 minutes throughout the day and hourly after 11pm.The readings can then be used to determine whether the person requires medication for high BP or if the current medication is having the desired effect on blood pressure. A constant recording of the electrical activity of your heart (rate and rhythm) over a 24-hour period. It is a safe and painless recording that involves wearing a small monitor (the size of a match box) attached to your chest with 5 small wires connected to electrodes. This test is requested by a cardiologist in order to correlate certain symptoms, such as dizziness, breathlessness or palpitations, with the electrical activity of the heart at the time of the symptoms. It also provides information on the effectiveness of medication.